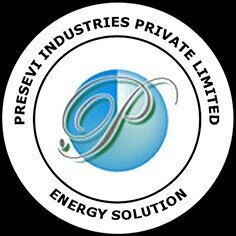 Organization Presevi Industries Pvt Ltd, was established in 1986 with a humble beginning. It has grown as an ODM, over the period of time, with DSIR recognized R&D and two factories. The firm head quartered in Chennai city, Tamilnadu, India, focus on meeting electronic controller needs of major OEMs in appliances business like washing machines, HVAC, Telecom sectors, Energy utilization, Hospitality, process control etc. The firm, in addition, meets the special equipment needs of institutions like ISRO, IGCAR, Railways, Research institutions etc. The organization is mainly engaged in three activities like R&D with product design, manufacturing, and servicing. The firm is blessed with a team of Engineers and technicians, who have thirst for knowledge, good grasping power, team approach for problem solving, excellent ‘hand and brain co-ordination capability. The firm have become a face in the crowd only because we have a remarkable expertise in designing electronic controllers for various systems, straight from concept, using mechatronic design principles, energy saving, cost effectiveness, manufacturing, service after sales etc. We apply our good knowledge in power electronics, instrumentation, embedded programming, networking, EMI/EMC, and various electrical standards with adequate documentation in our design. R&D and product design Our well-equipped and DSIR recognized R&D consists of a dedicated team with highly qualified & trained personnel with excellent knowledge & expertise. Considerable amount of time & money is spent in updating technology, personnel training programs, investment on library & equipment etc. We could adopt several ‘state of the art’ technologies that lead to product patenting. All these, with a good back-end team, help us build products/systems by considering reliability factors like FTA, FMECA, Availability, MTBF, MTRR. at the design itself, with manufacturing in mind. All these helps to achieve defect reduction, extended product life, cost-effectiveness, quality products, customer satisfaction etc. Innovative thinking, doing the right thing at the first instance itself, excellent interactions with academia, our cumulative knowledge, proper documentation practices for design, manufacturing, service after sales are the other unique reasons for growth. The firm also guide and fund the dedicated university students in internships as well as in completing their engineering projects. Manufacturing The firm, with two factories takes up manufacturing of electronic controllers and caters mainly to OEMs in the appliance business, energy saving areas, products for hospitality sectors etc. These well evaluated, documented products, that are considered for manufacturing, is taken up for production by another set of experienced manufacturing team in a well-organized manufacturing set up. Application of various manufacturing techniques like defect tracing & elimination, field failure analysis, adoption of SQC, quality & reliability improvement policies, inspection of critical inward components, “In-house burning in” and cent percent inspection of finished products etc., is a non-ending process in Presevi. The factory with necessary equipment for manufacturing, rigorous testing procedures by qualified & dedicated people, ensures consistent quality, elimination of defects to a great extent and ensures an extended product life. Our computerized inventory management system helps us in tracing and eliminating the defective components, bad vendors etc. All these efforts bring quality and cost-effective products on time from our factories. Sales and Services Presevi Industries, as a manufacturer of electronic controllers, is aware that we had to provide back- up service after sales, particularly when we cater to engineering products. Good MTRR of our products with an excellent MTBF design, gains customer confidence whether it is for B to B or B to C market. Our computerized service team could identify the defective components, nature & repeatability of the defects, trends, modes, and mechanisms of failures etc. The feed back thus obtained is shared with the product development team for preparing Field failure analysis (FTA), reliability predictions, availability of our products, MTBF etc. All these procedures help us to build highly tropicalized & reliable electronic controllers for our B to B and B to C customers by meeting the environmental challenges. We do not spam and your email-id would be stored securely. Keep watching this space to get to know our team.